Reading food labels is becoming second nature for an ever-increasing number of consumers, but the same cannot be said of bottled water labels. Bottled water is bottled water, right? Not so much. However, to understand why, we need to know a little something about water. While bottled water labeling is a little more complex; there are basically three types of water: natural mineral, spring and prepared. SOS Mineral Water is available in 1L, 500ml and 330ml size bottles. Natural mineral water is superior to spring water. While sourced from a spring, there’s a little more natural science involved: there has to be a minimum of 250 parts per million of total dissolved solids (TDS) with a constant level and relative proportion of trace elements at the source; it must originate from a protected underground spring. Interestingly, we have noted that some bottled waters promote that they have a LOW TDS as a good thing, except it just so happens that they can’t call themselves natural mineral water and attempting to do so is incorrect. Spring water comes from an underground formation and can only be called spring water when collected at the spring. Prepared water is basically municipal water that has been treated, e.g., distillation, deionization or reverse osmosis. While these methods kill the water by removing the harmful elements, they also kill the good elements within the water, which then have to be put back into the water using additives! Perfectly balanced, pure water has a pH of 7. An excellent basic measure of bottled water is the pH, which measures the acidity or alkalinity of the water. Better quality waters are generally on the alkaline side of the spectrum of 7.3 – 7.8. Unfortunately most of the bottled water available is on the acidic side with a pH of 4.6 – 5.3. Pretty average. 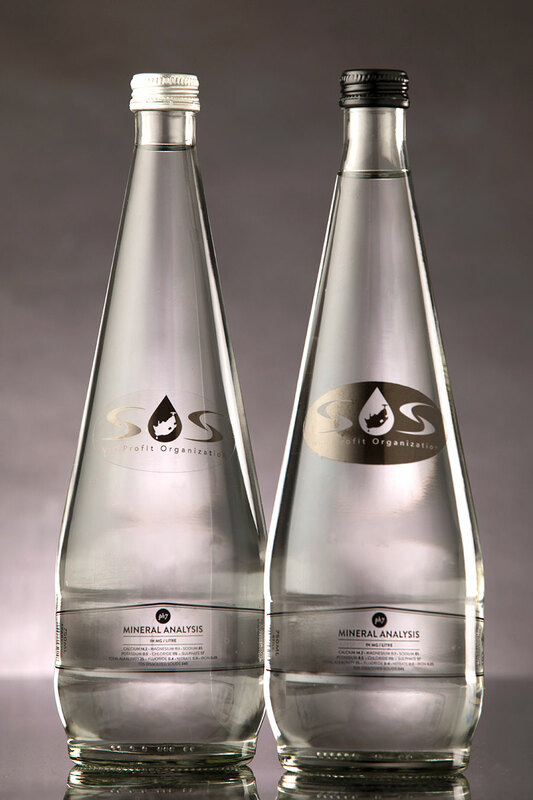 SOS Mineral water is pretty unique and based on its pH of 7 is most probably the best quality water available in South Africa – possibly even the world. We have yet to find another bottled water with the same pH level. It’s pure, natural mineral water and comes from a 2-square-km cave 46 meters below ground that is filled from the streams that flow off the unspoiled Klein River Mountains just outside the drought zone in Hermanus. When you buy our water, all proceeds go directly to the SOSNPO and all our activities to assist the underprivileged in South Africa. Communities, Businesses and Schools need help to keep operating during the water crisis. Our future is at stake.